This is a brown bag lunch seminar, please bring your bento or sandwiches. Coffee is available. The French Chamber of Commerce and Industry in Japan is pleased to invite you to the next lunch seminar of the French Research Institute (MFJ) on Japan on Thursday, April 25. The year 2015 is referred to as the first year of real corporate governance. However, Abenomics is not only a policy package that lead to major changes in corporate governance. What is new is that the governance reform clearly aims at promoting corporate growth. Then natural questions are: Has the governance reforms as a growth strategy been successful? How much extent do they change governance arrangement among Japanese firms? Do they really influence the conservative behaviors of Japanese firms and therefore contribute to improve their corporate performance? This presentation addresses these questions, focusing on the two pillars of the reform, (1) Japanese-version Stewardship Code (JSC) that encourages the engagement of institutional investors in the business management and (2) the corporate governance code (CGC) that encourages firms to appoint independent directors and dissolve the cross-shareholding. 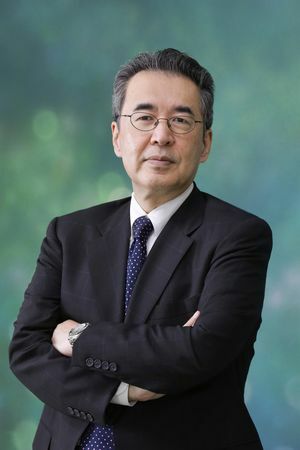 After studying economics at Rikkyo University and the University of Tokyo, Hideaki Miyajima became Assistant Professor at University of Tokyo in 1985. He then joined, in 1987, the Graduate School of Commerce of Waseda University, where he is professor since 1995. He is also Special Research Fellow of the Policy Research Institute (Ministry of Finance of Japan) since 2001, Faculty Fellow of the Research Institute of Economy, Trade & Industry (RIETI) since 2002, Vice-director of the Waseda Institute for Corporation Law and Society since 2003, Director of the Waseda Institute for Advanced Study (WIAS) since 2010, and Executive Vice President for Financial Affairs of Waseda University since 2018. He has been visiting scholar at Harvard University in 1992- 1994 and 2004-2005, and at EHESS (Paris) in 2010. He is also Adjunct Professor of Chung-Ang University (Seoul) since 2001.